To say that the way people bank is changing is rather tiresome, but in truth, the way people bank has undergone a revolution over the last decade that only looks set to continue. Perhaps a little more interesting is to understand how people want to bank, unbound by the constraints of their providers. Which channels do customers want to engage with, and how do these preferences correspond to customer satisfaction? 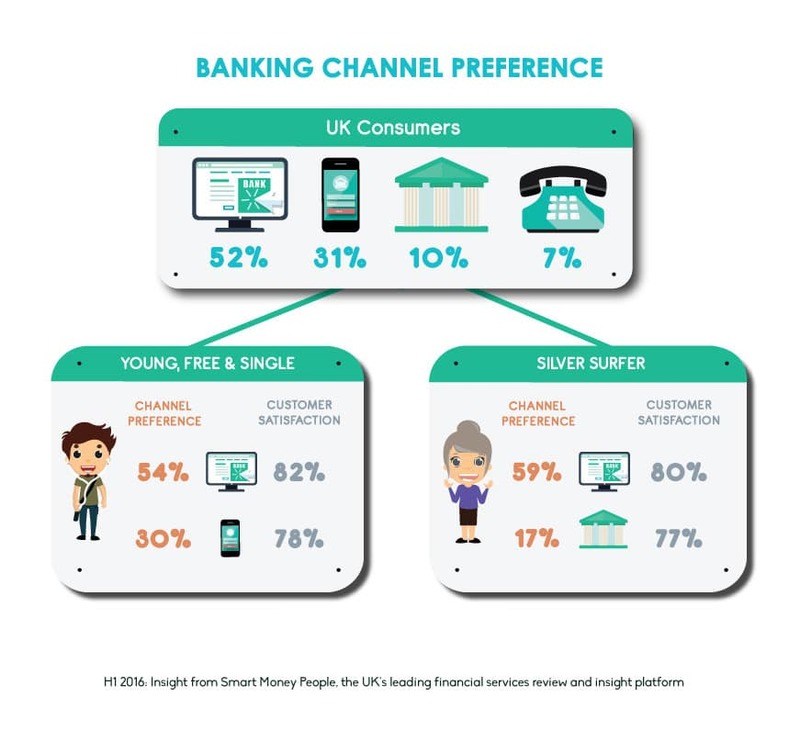 Analysing our H1 2016 banking reviews, we’re able to summarise this (see our canny graphic below). We’ll track this every 6 months going forward to see how the picture changes. Found this interesting? Why not sign-up to receive more Smart Money People insights.